BUDAPEST (Reuters) – An Israeli recovery team will search Hungary’s Danube river for remains of Holocaust victims, with Hungarian permission and assistance, so they can be buried in accordance with Jewish rite, a visiting Israeli official said on Monday. 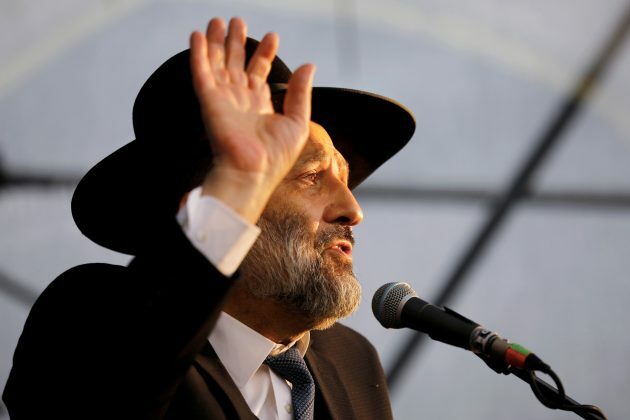 Arye Deri, Israel’s interior minister and an ultra-Orthodox rabbi, said his Hungarian counterpart, Sandor Pinter, had agreed to his request to provide special equipment to forensic experts from the Israeli volunteer Zaka who traveled with him to Budapest. This entry was tagged Auschwitz, Budapest, Holocaust victims, Hungary, Israel, Jewish rites, Murder, Nazi's. Bookmark the permalink.